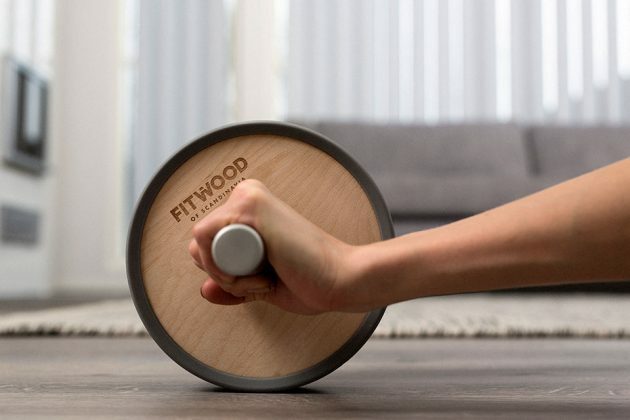 Scandinavia design is hardly known for fitness equipment, but that’s not stopping Finnish company, FitWood of Scandinavia from turning out familiar fitness equipment made from wood. 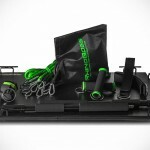 The result is, like our post title said, literally hiding fitness equipment in plain sight. If you are like some of us here who lament about how fitness equipment like training table, chin up bar, ab roller et cetera spoils your beautifully coordinated interior decoration, then FitWood of Scandinavia might just be the answer you have been looking for. 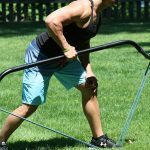 With fitness equipment from this Finnish company, you can leave those equipment in your living space without feeling it been out of place. Take for example, its Snöblock Training Table, which is co-designed with hockey star Aleksander Barkov, looks right at home in the living room amongst your sofa and home entertainment system. Training Table is adjustable in height (by removing blocks) and boasts a variety of uses, but when not in use, it makes the perfect coffee table. All you have to do is to add a piece of tempered glass and voila! a minimalist, stylish coffee table it becomes. 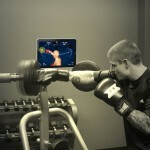 Sure, you probably could use any coffee table, but can your choice coffee table take the punishment of fitness routine? I doubt so. Another latest addition, also co-designed with Aleksander Barkov, is the Trollstigen Swedish Wall Bars that provides both fitness opportunity as well as fun exercise for your kids. Other products to look out for include Trollveggen Chin Up Bar, Kjerag Ab Roller, M-Roll Massage Roller, and Stokk Stretching Stick. If you are up for some wood-based fitness gear, you can find the aforementioned products from FitWood of Scandinavia on Kickstarter, priced at $45 and up. As always, whether the products will be realized at their respective price point depends on the funding outcome. Images courtesy of FitWood of Scandinavia.